It seems a bit early in the year still for chili but temps are cooling down a bit here in Michigan and I so ready to make my first batch on Sunday night. 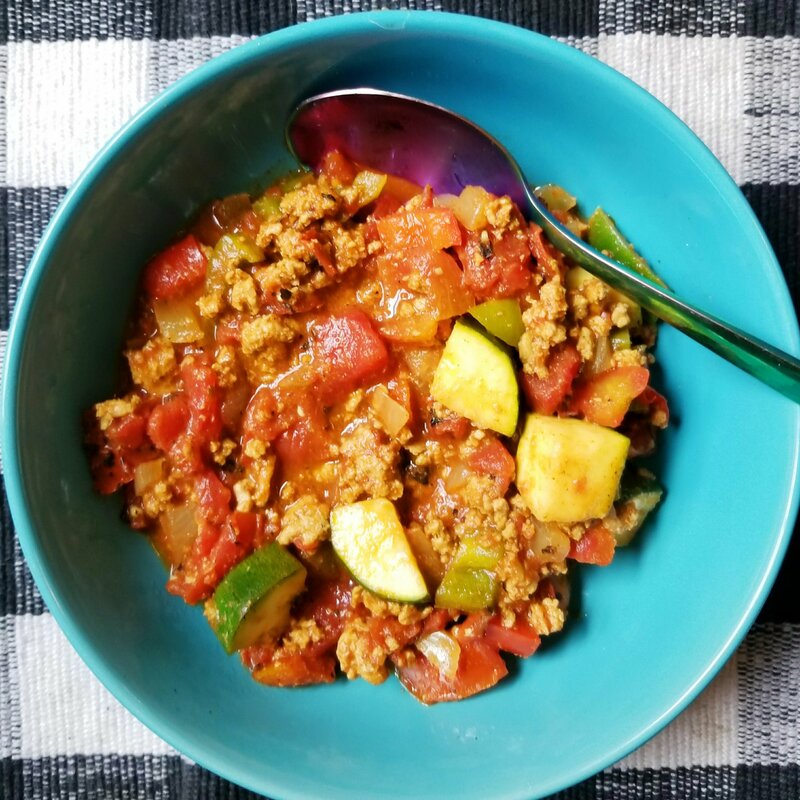 This version that I created was totally paleo (gluten-free) and this time around to keep it paleo I avoided kidney beans, which I usually do love to use in my chili. I also usually use ground beef and I switched it up and went for a lean ground turkey. The added turmeric was a nice touch as well. My husband and I reveled in this bowl of comforting chili. There is just something so comforting about eating chili. It is always satisfying and it is also so simple to make!